Michelle & Chad were detailed planners who contacted me shortly after their engagement. The great thing about the early connection was that it enabled us to talk in depth about the kinds of photos and locations they wanted and plan enough time to accommodate these wishes. As a photographer I really love this, since it allows me to bring my experience to the planning process and ideally create more time for me to do my work. 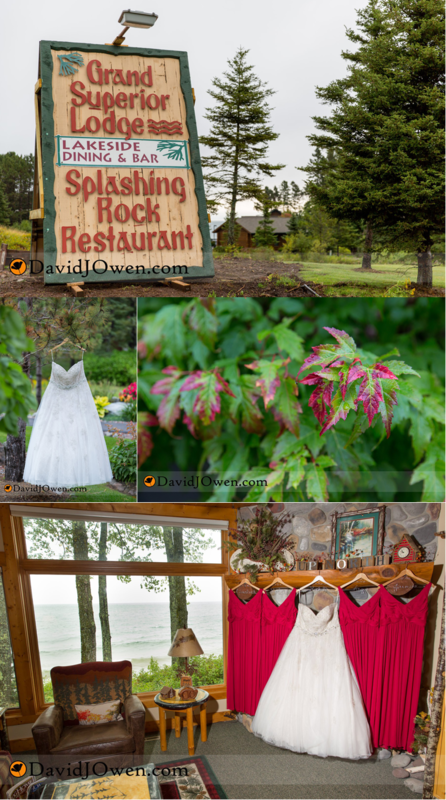 I’ve digressed from Michelle and Chad’s lovely Grand Superior Lodge wedding. It was a cool September day, with pretty fall colors and massive waves on Lake Superior. The overcast fall day added drama and soft colors to their wedding and photos. We had plenty of time to do photos at Gooseberry Falls and one of the beaches below Split Rock Lighthouse with these two and their entourages. 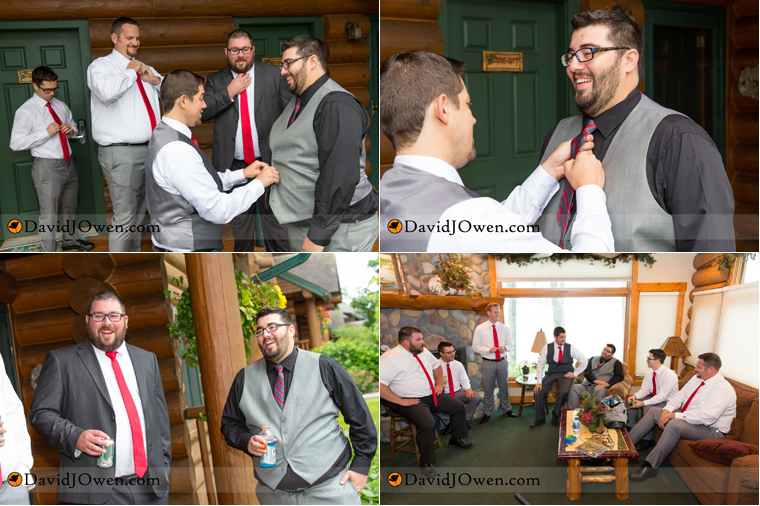 The smiles and fun started early in the morning and continued through their ceremony and into the evening. They planned a relaxed, fun day to fit their style and this made it enjoyable for everyone. Bonfires were planned but the misty rain in the evening kept most people inside. Happily we went outside for a few photos as the light was fading and got some of my favorite images from the wedding (happy couple + light rain = gorgeous). It was so great being a part of their day, thanks for having us and a huge congratulations! Lindsay & Andy contacted me close to their wedding date, since circumstance required them to shift locations at the last minute. Despite the short timing, we had good communication created a clear plan that made working together on the wedding day go smoothly. These two are fun, thoughtful and articulate and very easy to work and gave me some great laughs and smiles throughout the day. 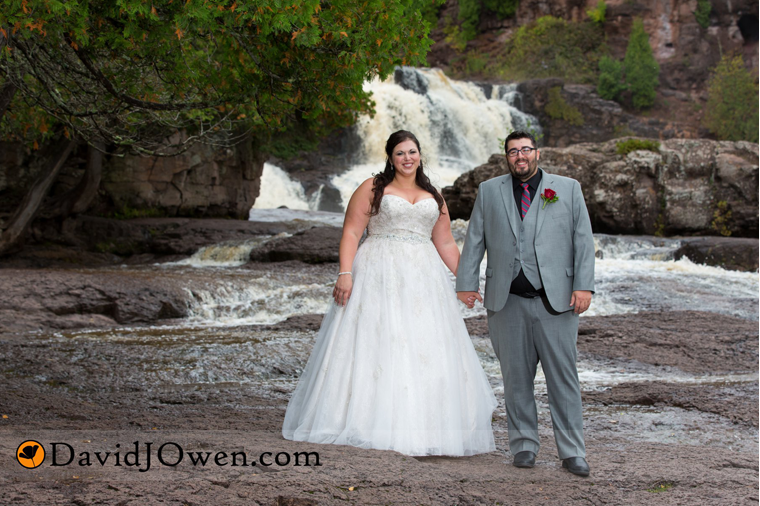 It was a gorgeous sunny September day at Grand Superior Lodge for their outdoor wedding. It was nice enough that reception and dance spilled outside on the moonlit night. Thanks for having me be a part of your wedding!